Build your Coco Collection with colourful Mini-Figures! Dante, Miguel, Abuelita, De la Cruz, and more characters from the movie - which of your favourites will you find? Figures are 5H cm tall and allow you to recreate your favourite adventures from Coco wherever you go! A great gift for Coco fans! Coco, the new animated film from Disney Pixar, is a celebration of a lifetime, where the discovery of a generations-old mystery leads to a most extraordinary and surprising family reunion. 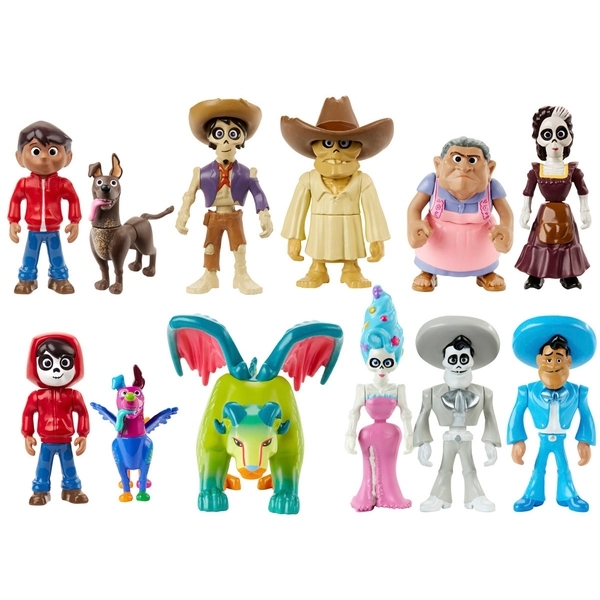 Each Coco Skullectable is a unique, highly-detailed Mini-Figure inspired by the movie. Discover Dante, Miguel, Abuelita, De la Cruz, and more—which of your favourites will you find? These 5H cm figures allow you to recreate your favourite scenes from Coco, wherever you go! There are 12 beloved characters available, so start exploring the world of Coco Mini-Figures today and create your perfect collection! Each sold separately, subject to availability.